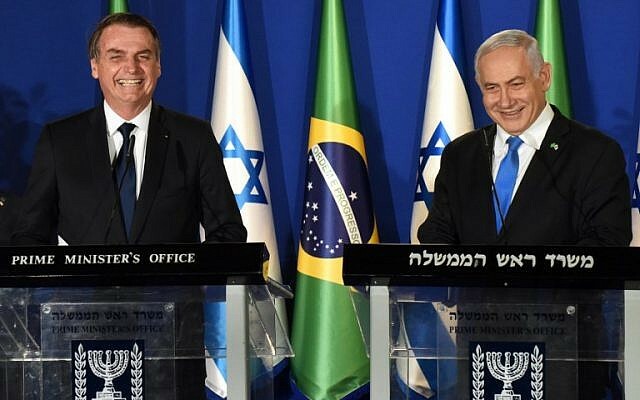 Prime Minister Benjamin Netanyahu on Sunday told visiting Brazilian President Jair Bolsonaro that he hopes Brazil’s decision to open a trade office in Jerusalem will be the first step in the relocation of its embassy to the Israeli capital. The opening of the office — announced earlier in the day — was strongly denounced by the Palestinian Authority, which said it will recall its senior envoy to Brazil in protest. 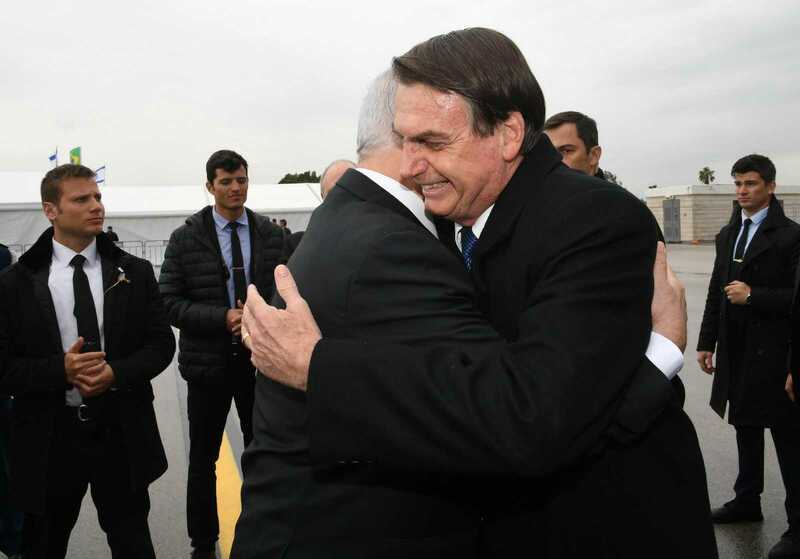 Bolsonaro has previously pledged to move his country’s embassy to Jerusalem, but the relocation appears to be on hold and he has made no mention of the possible move since arriving in the country. 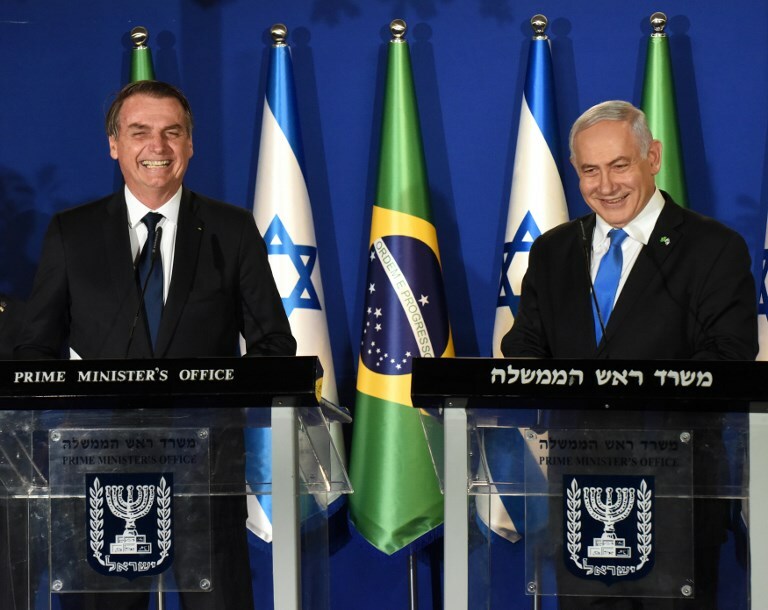 “I congratulate you on the decision to open a trade and developing technology office, an official office of the Brazilian government, in Jerusalem,” Netanyahu said at a press conference on Sunday night after meeting with Bolsonaro at the Prime Minister’s Residence in Jerusalem. “I hope that is a first step toward the opening, in time, of the Brazilian embassy in Jerusalem,” Netanyahu continued. During meetings between the leaders and senior officials, the two countries signed six bilateral agreements, including on defense cooperation, public safety and technology. The PA Foreign Ministry responded by saying it intends to recall its top diplomat in Brasilia in protest of the announcement. 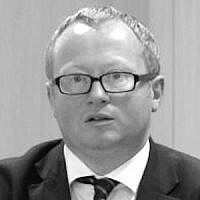 “We will be communicating with our ambassador in Brazil in order to recall him for consultations and in order to take the appropriate decisions to confront such a situation,” a ministry statement said. 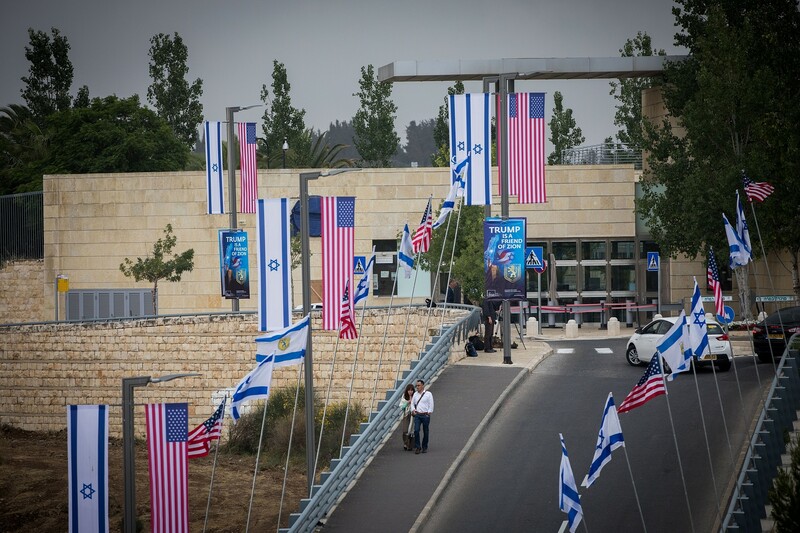 The planned trade mission is “a brazen violation of international legitimacy and resolutions, direct aggression against our people and its rights and an affirmative response to Israeli-American pressure aimed at reinforcing the occupation, settlement building and the Judaization of occupied Jerusalem,” the statement continued. Palestinian official Hanan Ashrawi tweeted that those who are following US President Donald Trump in his recognition of Jerusalem as Israel’s capital are in violation of international law. Months after promising to move the embassy Bolsonaro has yet to announce a timetable. 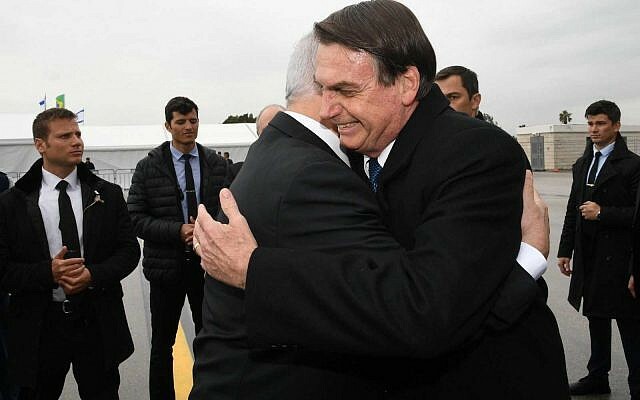 Moving the embassy would please Bolsonaro’s evangelical Christian support base, but would also risk provoking commercial retaliation from Arab states, some of which are major importers of Brazilian meat. Bolsonaro was scheduled to visit Jerusalem’s Western Wall alongside Netanyahu on Monday — a controversial move in itself. 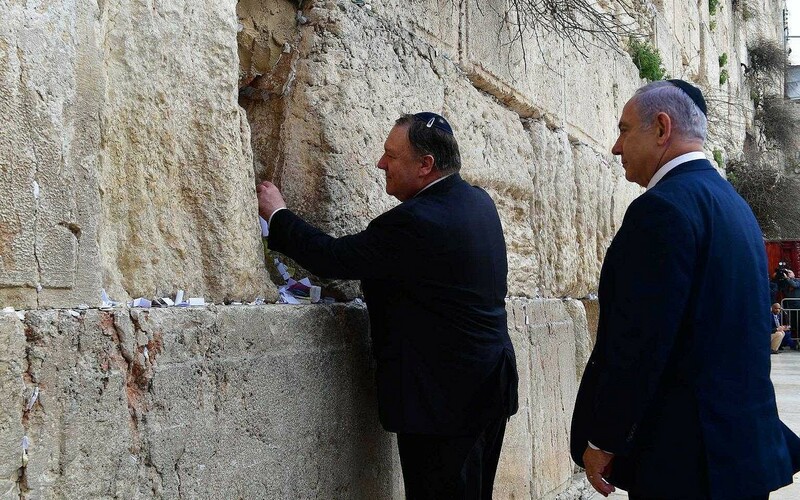 Earlier this month, US Secretary of State Mike Pompeo became the first high-ranking American official to visit the Western Wall, accompanied by an Israeli premier. Trump is the first US president to visit the site. Such a visit by Bolsonaro could be taken as tacit approval of Israel’s sovereignty over the site, one of the holiest in Judaism, but directly adjacent to the flashpoint Temple Mount compound, the most sacred site in Judaism and third holiest in Islam. While Israel considers all of Jerusalem its capital, Palestinians want East Jerusalem as the capital of a future state. The Palestinian leadership froze contacts with the White House after Trump’s move of the US mission.